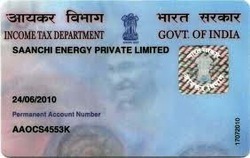 The government had earlier extended the date of the PAN card base card link. The Supreme Court declared the base constitutionally valid last year. The timetable of the PAN card base card link has been extended beyond the date of March 31, yet another iconic icon for those who did not link to it. According to an official statement on Sunday, the government increased the time limit for connecting PAN (permanent account number) with biometric ID basis to 6 months till September 30. However, after the order of the Supreme Court, the quote of the basis for filing income tax return (ITR) is mandatory. This is the sixth time when the government has extended the limit of PAN card base card link. To remember, in June last year, the government had said that the pan has to be linked with the biometric base ID by March 31. The pre-time limit of PAN card base card link was 31st July 31, and 31 December 2017. 31 March 2018. , 30 June 2018, and 31 March 2019. The Central Board of Direct Taxes (CBDT) said in a statement Now the cut-off date for informing the base number and linking the PAN to the base is September 30, 2019, unless specifically given exemption Have been. CBDT said that there were reports that the PAN, which has not been linked to the Aadhaar number till March 31, can be rejected, after which the matter was considered by the government and extended till September 30. "Despite the last date to inform / link the base number with PAN on September 30, 2019, it is also clear that from 1 April 2019, it is mandatory to quote and link the Aadhaar number by entering the return of income," added . The apex court had declared the Center's main support scheme as constitutionally valid in September last year and said that biometric IDs would be mandatory for filing IT returns and allotment of PAN. However, the Constitution Bench of five judges had said that it would not be mandatory to link the Aadhaar with bank accounts and telecom service providers can not demand its linking for mobile connections. By the end of September last year, more than 21 million of the 41 million pans issued were linked to the government card card link initiative. The Supreme Court upheld Section 139 AA of the Income Tax Act in its order. Section 139AA (2) of the Income Tax Act states that every person who is eligible to get PAN and base on July 1, 2017, has to make his base number intimate.